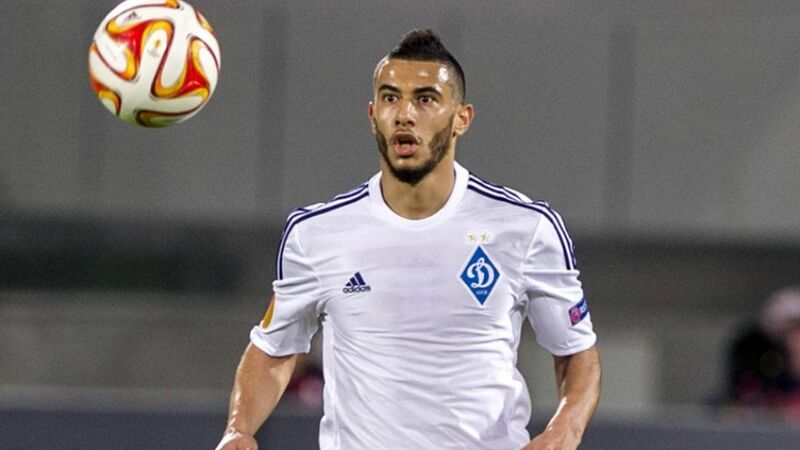 FC Schalke 04 have completed the signing of FC Dynamo Kyiv attacking midfielder Younes Belhanda on a six-month loan deal. The 32-time Morocco international passed his medical at the Royal Blues’ Orlando training camp on Wednesday. "I’ve often dreamt about playing in the Bundesliga," Belhanda told the club's official website. "I know Schalke already from when I was at Montpellier - I played against them in the Champions League. It’s a big club and Schalke has a great history, a big stadium and fantastic fans." "We want to increase the competition within the squad," added head coach Andre Breitenreiter. "Younes Belhanda can play in attacking midfield both centrally and out wide. He is quick, dynamic and also has a good goal and assist tally." Belhanda shot to fame as part of the Montpellier Herault SC side that won the French title in 2012, a year in which he was also voted Ligue 1 Young Player of the Year. The 25-year-old registered 29 goals and 20 assists in 144 appearances for the French club, before moving to Kiev in summer 2013. He has since scored 11 goals and chipped in with 15 assists in 88 games for the Ukrainian outfit. Schalke, who sit seventh in the Bundesliga standings at the midway point of the 2015/16 campaign, are scheduled to play Fort Lauderdale Strikers on Sunday and Atletico Mineiro on Wednesday 13 as part of the eight-team 2016 Florida Cup.